When many are of the notion that there are no Nigerian ladies that can hustle with a guy to get to the top, Nollywood actress, Charity Ausquo, believes that is wrong perception. 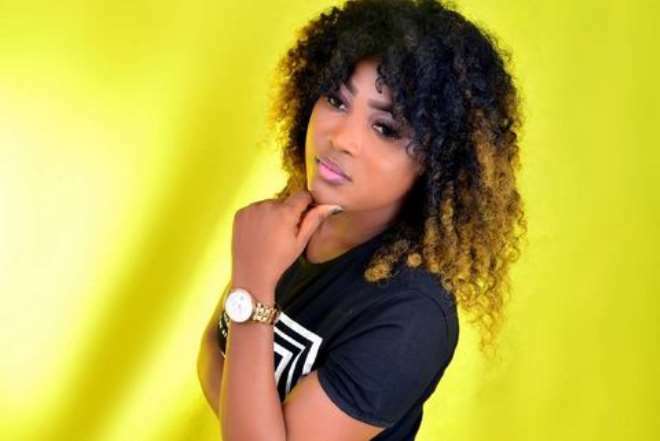 The Akwa ibom state born actress in a recent gist with Nollywoodgists.com disclosed that she is currently in a relationship where she is supporting her man the best way she can with the hope of a better tomorrow for him. She explained that supporting her man is not about marriage but the love existing between them as marriage can only be determined by God and not efforts. You said you are still supporting your man till date? Yes, I still support my man till date. I have never dated already made man in my life. What guarantee do you have he will marry you later? I am not dating him to marry me or out of pity but for the sake of love. If marriage comes, we grab it. It’s the will of God not our decisions but God has the final say. But why the choice of hustling guys instead of the rich ones? That’s because the hustling guys always understand your pains and gives more attention in a relationship. They are always available and humble. My guy washes my dress and irons them. He is so loving and caring. Most times, after the day’s hustle, he will call me to tell me that he is off to the market and you will see him coming home with food stuffs and make food together and eat together. The rich ones are so grumpy at heart, randy sometimes, sleeping out of their matrimonial home is their hobby. You will get to find out that most ladies cheat on their men is because their men are rich and busy doing nothing and forgetting the fact that they have family at home, no attention. How many guys have you supported that did not end up loving you after they made it? 2 guys, but if Mr A is not good, you don’t need to compare it to Mr B because every person has their own partner. Some ladies date hustling guys and sometimes cheat because the guy cannot provide for their needs yet they claim they love them, what’s your take on that? It’s only lazy ladies that cheat on a hustling man. When you’re not sure that the future is bright, most times pending on the situation. The word is patience in my relationship. Greed cheat but patience wins the man’s heart.